Architect Burton Baldridge and his team of architects have just released their new website, and it's even easier to view all of their gorgeous designs. Remember when we were talking a couple of days ago about how real modern design is in the details and not about being rich enough to afford a huge modern house? Well these photos are the same sort of idea. 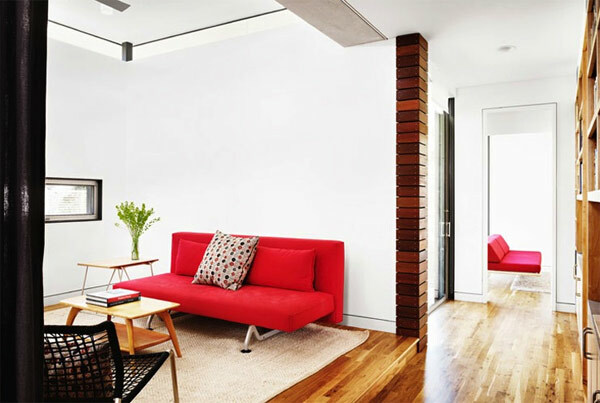 Check out that sweet wood corner in that one room with the red couch. 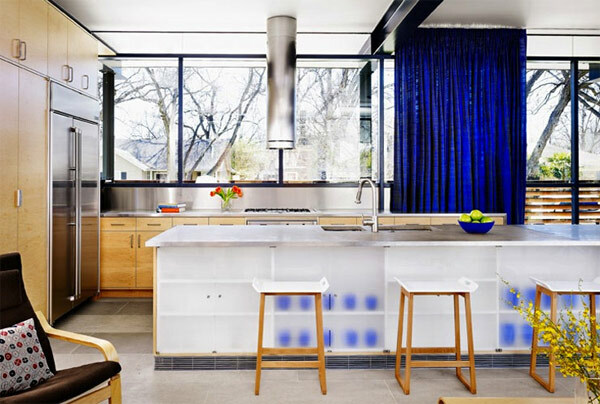 Or that neat translucent material used in the kitchen with that awesome deep blue curtain. Doesn't that media console in that room with the cool wood wall look just like that DIY fauxdenza we've posted about before? 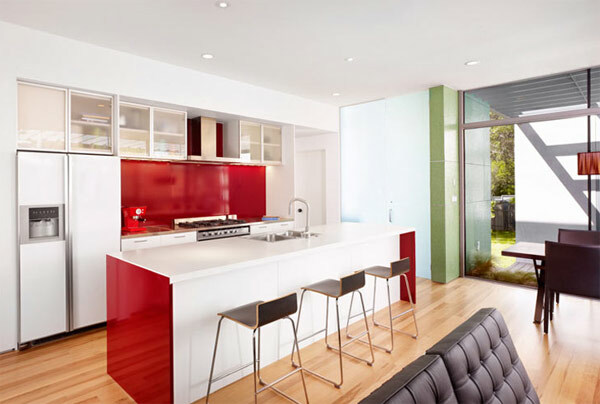 Or how about that sweet punch of red in that kitchen that could easily be recreated with paint. Heck, anyone can organize their books by color in a shelf painted white to mimic the cool live work space above. 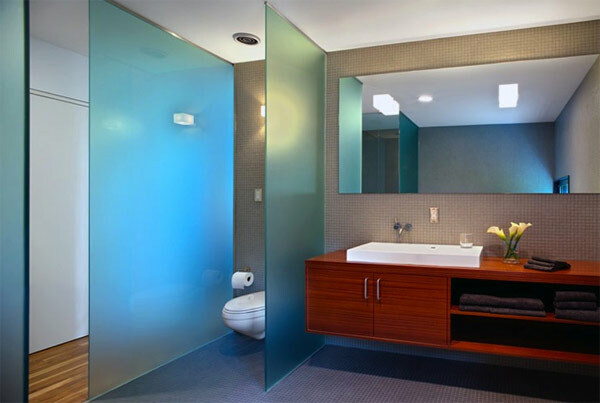 Check out more great modern details on the Baldridge Architects website. What details do you love in modern interiors…and how can you recreate them for your home? !